Andre Citroen was born on February 5, 1878 in the family of a successful entrepreneur. His father was a co-owner of enterprises engaged in the processing and sale of precious stones. But his father did not teach Andre the wisdom of business. When the future car maker was only six years old, Levi Citroen committed suicide. However, he left a lot of his family: a huge inheritance plus connections in the financial and industrial circles of Paris. In those days, the son usually continued the work of his father. But Andre did not attract trade. In 1889, he entered the Polytechnic School and after graduation, at the age of twenty-three, began working in the workshops of his friends Estenov brothers, where parts for locomotives were produced. In 1905, Citroen became Estenov's companion, investing in the business all inherited from his parents. He established the production of cogwheels (gears) at the plant - much more perfect than those made by competitors. They were designed by a Polish mechanic, self-taught, who was not known to anyone. And Citroen on time saw that the new technology is very promising, and bought a patent for its use. Very quickly gears began to be in demand in the international market - in London, Brussels and even Moscow, which brought to the owners of the company huge profits. Hence, the company's emblem is also in the form of inverted "V" letters, which schematically designate bevel gears. In France, this logo is called a "double chevron". Citroën served as technical and commercial director at the plant, and soon he ceased to have competitors. The name of the young businessman became a legend and helped him in 1908 to take the place of a technical director at the proven Mogs automobile plant. 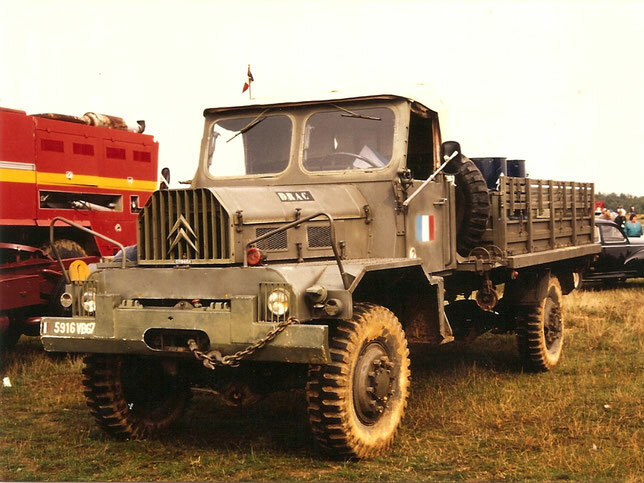 Citroën has also developed a stormy activity here: it attracted fresh minds, modernized the design of the produced cars and offered to reduce the prices for them. Success came immediately. Sales have increased dramatically. 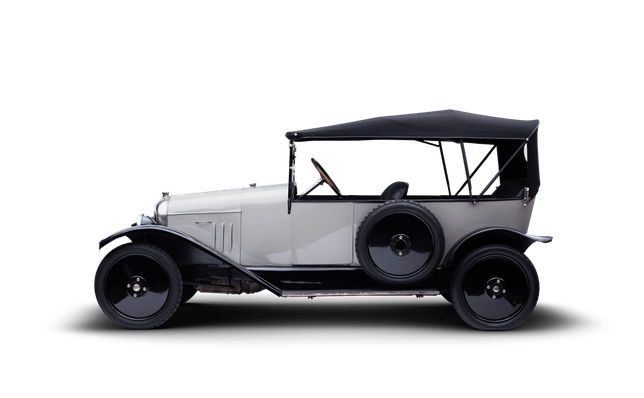 During the First World War, Citroën once again proved his abilities. He put his entrepreneurial talent in the service of the belligerent France and his business ambitions. Seeing how badly the French army is supplied with ammunition, he enters into negotiations with the military ministry and proposes to set up a large-scale production of shells within a three-month period. The army command seems unrealistic. However, Citroen convinced the state to conclude a contract with him. He collected money for the construction of a new plant quite quickly: 20% of the transaction was advanced by the state, and other failed funds were borrowed from friends of industrialists and financiers. And in a matter of months, literally from scratch, on the Parisian quay of Javel, there are plants for mass production of weapons that produce more shells than all other enterprises of the country combined. Citroën himself explains his successes in just one word: organization. Even in the midst of the fighting, André Citroën ordered the engineers for the drawings of the car, which later received his name. And so, after the war, when the cannons stopped, he had everything to organize and develop his own automobile production: experience, a highly qualified team, production facilities where shells had been produced before, and huge financial resources earned on military orders. He once visited America, where he got acquainted with American methods of car production at Ford plants, and in 1919, together with designer Jules Salomon, the creator of the successful Le Zebre, began to produce cars at a former weapons factory on the Zhavel embankment. He aspired to the daily release of 100 cars. Unlike its European competitors, Citroën built production on the American principle, starting with the release of a single model. At that time, its main goal was to turn the car from an inaccessible "curiosity" into a mass product. The small cars, offered to consumers at a low price, disperse like hot cakes. Gradually, the model range expanded, and for the first ten years of operation the company increased the production of cars by almost 50 times. 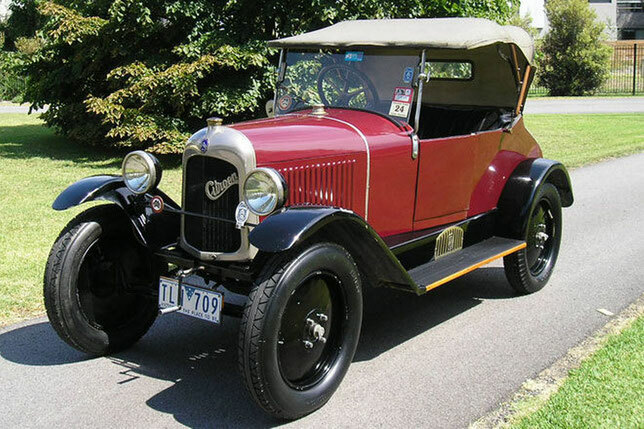 The first model was a type A (Citroen A) with a 1.3-liter engine and a power of 7.4 kW (10 hp), released in May 1919. Andre Citroen was then 41 years old. One hundred units were produced per day, which seemed incredible for the then level of production of cars in France. Secretly from all Andre Citroen, he disassembled at his factory such famous American cars as Buick, Nash, Studebaker, and studied possible production methods for them. In fact, its Citroen A became simultaneously the first mass-produced car in Europe. For four years, the production reached three hundred cars a day. At the same time Citroen came up with a new, "people's" car 5 CV, called Trefle ("Shamrock"). Citroën was also the first to think about the possibilities of far-sighted advertising. The fact is that in 1925 Citroen produced more than 60 thousand cars, and in 1929 - almost 100 thousand. Such high results allowed Citroen to take the first place in terms of production in France, and then in Europe. But to produce goods is not everything. It still needs to be sold. And, in order to attract future consumers, Citroen developed a grandiose system of advertising their cars and their name, which became a car brand. His firm has established the production of toy "Citroen", exactly the same as the big cars for adults. To the brand name of the Citroën factories was constantly in front of the drivers, throughout France, signs and road signs were mounted, crowned with a "double chevron". For the purpose of attracting potential customers, so-called "advertising runs" were arranged in remote areas of France. On the way of cars specialists of the company told through the loudspeakers about the peculiarities of this or that model of Citroen. The words were backed up by catchy posters, posters, entertaining quizzes and lotteries, which were organized during parking. As a result, from 3% to 15% of visitors to exhibitions "on wheels" were leaving home on their own cars. Citroen generally considers the best advertising as a demonstration of goods. "Exhibitions - the most effective and least expensive means of advertising. None of the most intricate advertising techniques can not be compared with the demonstration of products. The impression of what he saw is much richer than that left a few lines in the newspaper, "the businessman considered. On advertising, Citroën never spared money. So, in 1929 he built an autoshop, the facade of which was a solid glass showcase 21 meters high and 10 meters wide. Through this transparent wall, which took 19 tons of glass, you could directly see from the street a lot of cars, arranged on six tiers. Then he founded his own insurance company and established his own - yellow and blue - road signs. Somehow, hearing about an English pilot who knows how to print letters on the sky with the help of a white trail left by the plane, Citroen caught fire with the idea of drawing his own name in the sky. The trick was executed: in the sky appeared four hundred-meter letters of the name of the businessman, stretching for almost five kilometers. A few minutes later the inscription, on the manufacture of which was spent huge money, dissolved into the air. But what an effect! The culmination of advertising searches of the car manufacturer, backed up by his personal vanity, was the project "Eiffel Tower in the Fire." Having installed 125 thousand bulbs on the tower, the company Citroen gave contemporaries an unforgettable sight. One after another ten images flashed on the tower: the silhouette of the Eiffel Tower, the starry rain, the flight of comets, the signs of the Zodiac, the year of the tower, the current year, and finally the name Citroen. Andre Citroen was one of the first to believe in the international purpose of the car and reinforced his faith by participating in the most adventurous enterprises, such as the marathon race in the Sahara or the equally difficult auto race in Asia. 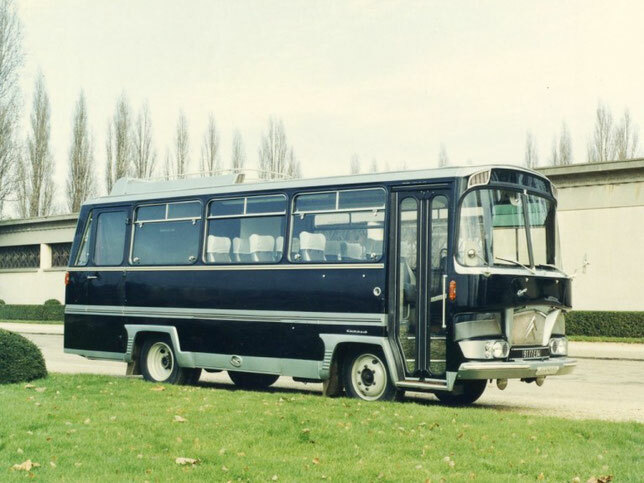 On the B2 model with a power of 14.8 kW (20 hp) with a semi-track chassis, it was the first time to make a way through the Sahara desert, and on the C4 model to drive Central Asia and, subsequently, the Arctic part of Canada. And to his customers, Citroën sent gramophone records with the recording of advertisements for his cars. The economic crisis in the early 1930s caused the decline of Citroën's activities. In 1933, Citroën decided to completely rebuild factories on the quay of Javel. Spending huge sums, he carried out the reconstruction in a record short time - in just 5 months. At the enterprise with a total area of 55 thousand m2 a huge continuous production line with a capacity of 1000 cars per day was placed. So much at that time consumed the entire French automotive market. But the gigantomania that seized Citroen eventually turned against him. The Achilles' heel of a businessman has always been the financial side of the matter. He always lived in debt, attracting huge investments for his risky projects. His needs for money constantly outstripped his financial capabilities. The risk was paid in 1934, at the time of the global economic crisis. Creditors refused to Citroen in new loans, and the drop in demand for cars made it impossible for him to get out of his own funds. After several attempts to find sources of funding, Citroen was forced to declare himself bankrupt. 60% of the company's shares was then received by the concern of Michelin rubber products. Citroen did not live to see the success of a new revolutionary project with a front-wheel drive, the concept of which the firm remained true to this day. He died in March 1935. His sudden death, the French newspapers explained for three reasons: "Mr. Citroen died of an incurable disease. It is possible that his departure from life accelerated the financial difficulties that had fallen upon him. Perhaps the role in this was played by the death of her daughter. " However, what the businessman did in 20 years, forever immortalized his name. It still decorates cars produced under one of the world's most famous brands. "If the idea is good, the price does not matter," said Andre Citroen. 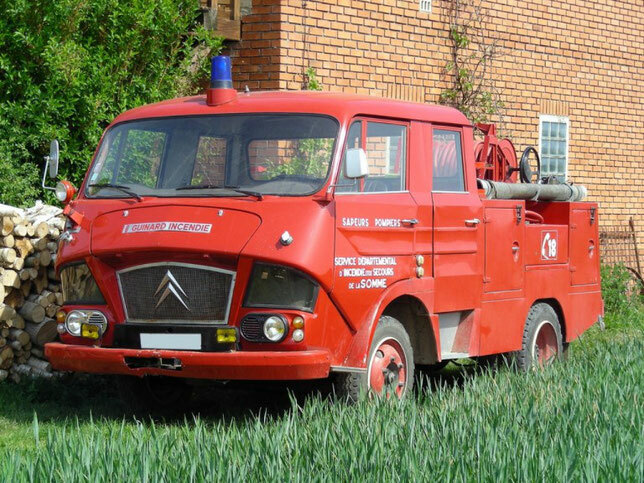 Many achievements and victories were in the history of the company Citroen and its famous models. But from the song you can not throw out the words - after almost 50 years of triumph on the car Olympus, Citroen had to go through an annoying period of recession. People of the older generation who are interested in cars, for sure remember the times when the first place among the French car makers was occupied by Citroen. Peugeot and Renault were not allowed to overtake this brand, as it was not allowed to rise above the mundaneity of traditional models. Citroen for its cars did not skimp on either advanced technology or the original design. These were truly decent cars. At the time, by the way, none of the French presidents could have imagined an idea - to ride on anything other than the Citroen DS or SM. But extravagance did not bring big incomes. By the mid-1970s, against the backdrop of the outbreak of the oil crisis, the original but highly fuel-consuming Citroen models began to sell poorly; And the company was forced to "become like everyone else", for a long time losing its image as a bold innovator. In 1974, purely pragmatic considerations served as a reason for its unification with Peugeot. Thanks to this union, Citroen, of course, saved his life, but almost completely lost his personality. Only at the beginning of the 90s, when the fashion world returned to the automotive world, Citroen, as one of the founders of the extravagant and original style, boldly rushed into the battle. Cardinally, the situation changed in 1997, with the arrival of Jean-Martin Folz, the general director of the concern, who decided to "improve" the financial side of the enterprise, devoting all his efforts to creative design activities to make the maximum number of differences in Cars of two brands represented by the concern. For Citroen, this decision was truly the beginning of the revival. In recent years, the model range of Citroen cars has completely refreshed. Absolutely all models received a new stylish design and improved technical characteristics, which allowed the concern Citroen to achieve a constant and dynamic sales growth: 52% over the past five years! In 2000, Citroën surpassed its own sales record for the entire history of its existence, selling more than 1 million cars. And this is not the limit, since the dynamic growth rates of sales have been preserved even now, despite the fact that the global demand for cars has been steadily declining over the past few years. Forbes magazine named the head of the PSA concern Jean-Matrina Folz a businessman of 2001, noting his ability, correctly prioritizing, to restore the profitability of the enterprise in the shortest possible time and bring its profitability to high levels. In 2002, more than 1 312 000 buyers sat behind the wheel of new cars with a "double chevron". Ruler "C", which started the sedan of the middle class C5, literally over several years has grown to the size of a model line of advanced German manufacturers. Minivan C8, compact hatchbacks C4, C2, the dream of Moscow drivers C3, a tiny C1 and, finally, a giant luxury sedan C6, which, perhaps, will repeat the success of the legendary "Goddess" Citroen DS. By 2003, 1,372,000 cars were sold. The range of Xsara Picasso is supplemented with a new Exclusive package with the option of installing an engine of 1377 hp. In combination with automatic transmission Tiptronic. Xsara Picasso becomes the best-selling minivan in Spain. C8 is offered with a 3.0 V6 engine and Tiptronic automatic transmission. Xsara underwent an easy restyling and got a new 1.4 HDi turbodiesel. Since February, a new Citroen Jumpy, which along with the well-sold Berlingo and Jumper, has entered the market, has allowed Citroen to occupy 11% of the European market of commercial vehicles. In Geneva, a presentation of the C2 Citroen sport model, which by autumn turned into a production C2. Thus, for 18 months the range of compact cars (C2, C3, C3 Pluriel) has been completely updated. Xsara WRC for the first time participates in all races of the season, the Citroen team wins an unprecedented victory in the most prestigious rally of the Monte Carlo season, taking the entire podium. The Constructors' Cup went to Citroen, and Sebastian Loeb missed the title at the last stage. 2004 - three main events for Citroen: - a double in the rally World Championship (Constructors' Championship and Sebastian Loeb's first place in the individual competition), launching into the C5-II series, the appearance of the C4 for sale. Both newcomers received an excellent press, and the best estimates from EuroNCAP (C5 showed the best result among all the tested cars). C2, C3, C3 Pluriel sold 518,000 cars around the world (of which 150,000 are C2 and 336,000 are C3). In Geneva, C-Airlounge is presented, a prototype of future Citroen models. In March, C3 XTR, a car for outdoor activities, went on sale. Extremely popular in 2004, Xsara Picasso provided a new turbodiesel 1.6 HDi 110 hp, by the end of the year, the combined sales of Xsara Picasso reached 1 million vehicles (of which 220,000 were sold in 2004). Record of longevity was put by the commercial model Citroen C15, produced since 1984. By the end of the year, Xsara's total sales reached 1.5 million vehicles. 2005 - the widest model in the history of Citroen, from the mini C1 to the flagship C6. Both of these cars were presented at the Geneva Motor Show, provoking an excellent public reaction. С1 is interesting to city dwellers, for whom compact dimensions, economy and cost of operation are on the first place. In addition, the safety level (4 stars from EuroNCAP) and high consumer properties put this car on a new level in the supermini class. C6 won the sympathy of Europeans back in 1999, when the concept car C6 Lignage was introduced, which with minor changes went into the series. C6 is interesting in the first place with its technologies and an excellent level of security (including a record 4 stars from EuroNCAP for pedestrian protection). In C6, a new design of hydropneumatic suspension from Citroen - "carpet-plane" is embodied. Even more functional, it allows you to raise the comfort of passengers to an unprecedented level. Record sales: more than 1 million 395 thousand cars sold worldwide. The share of the European market increased to 6.7%, in France Citroen won 14% of customers. The record year for Citroen in Germany, with a growth of 20.3%, sales amounted to 80,000 cars. For the third year in a row, Citroen received the Constructors' Cup in the WRC, Sebastien Loeb wins the second champion title, and Dani Sordo wins the Youth World Rally Championship (JWRC) at the wheel of the C2 Super 1600.